Why do we baptize? Understand the importance of baptism in the Catholic Church. · Children under 7 years of age are baptised according to the process outlined below. · Children in grades 2 to 6 are prepared for Baptism, Confirmation, and First Eucharist in the RCIC process. · Youth in grades 7 to 12 are prepared for Baptism, Confirmation, and First Eucharist in the RCIY process. · Adults (age 18 and older) are prepared for Baptism, Confirmation, and First Eucharist in the RCIA process. 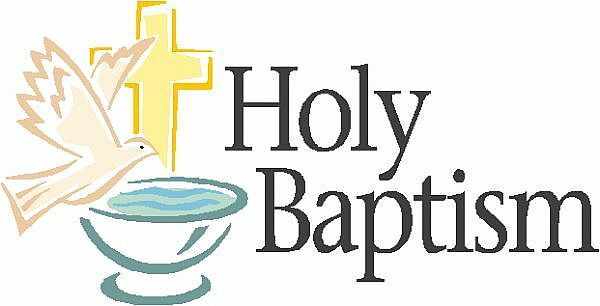 · Call the parish office (780-456-5399) to book a Baptism interview. Both parents must attend the interview. · It is recommended that parents begin the baptism planning process during pregnancy or several months in advance of the anticipated baptism date to ensure availability. 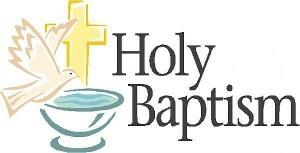 · Parents will be registered for Baptism Preparation at their Baptism Interview. · If you are preparing for baptism in another parish but would like to register for our baptism preparation session, please contact our Pastoral Assistant at the parish office (780-456-5399) or by e-mail at Linda.Boire@caedm.ca. Baptism Preparation is offered the first Sunday of the month (unless there is a holiday). Please call the Parish to register. Baptism is celebrated at predetermined Mass times. There are no Baptisms celebrated during Advent or Lent. You MUST have met with the Pastoral Assistant and filled out all applicable paperwork before a Baptism can be celebrated. Please note that we do not offer private Baptisms.